An economical place equipped with a bar for a refreshing stay. Hotel Ankur Palace is a hotel that ensures you a comfortable and cozy stay with your basic needs fulfilled. The rooms are minimalistic with light coloured walls, wooden furniture, and bright cushions that provide a bold accent to the rooms. 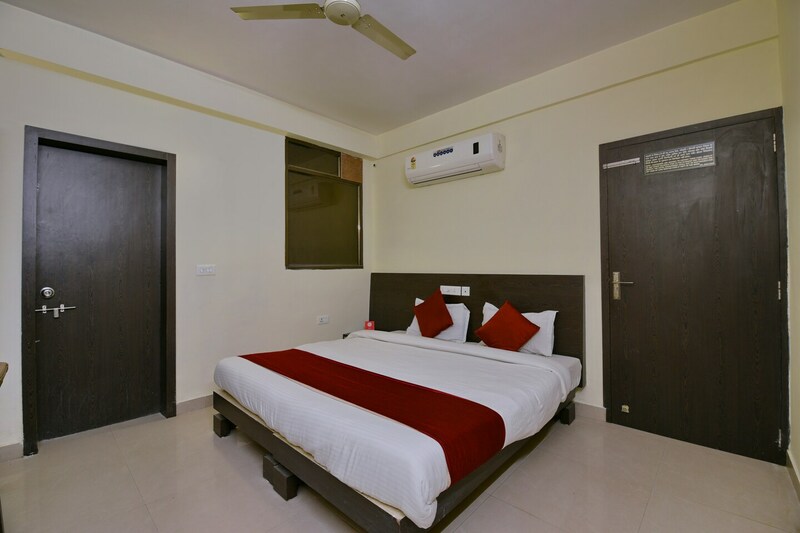 Well-equipped with amenities that are essential for all guests to have a comfortable stay, these rooms are super clean and well-lit. The bathrooms too are neat and clean and well-maintained along with a geyser for when the weather gets cold. Power backup, a seating area, and a bar are available at the hotel which makes your stay even more convenient and pleasant.